Suitable for protecting tables and other surfaces, this Plastic Tablecover is a compact and reliable option for your nursery. Each one has been designed to appeal visually to all ages while the durable plastic construction means they will last through repeated use. Easy to wipe clean, they can be folded compactly to store in drawers or cupboards and will hand over the edge of most standard tables to provide exceptional protection. In addition, each tablecover is water and splash proof - creating engaging and thrilling crafting sessions. 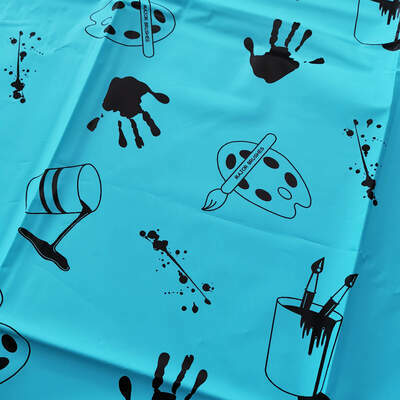 Whether you're looking for a new crafting resource such as our Pop Roc Plaster of Paris or need to protect the clothes of your class members with Plastic Wipe Clean Aprons, we have everything you need right here at exceptional wholesale prices.